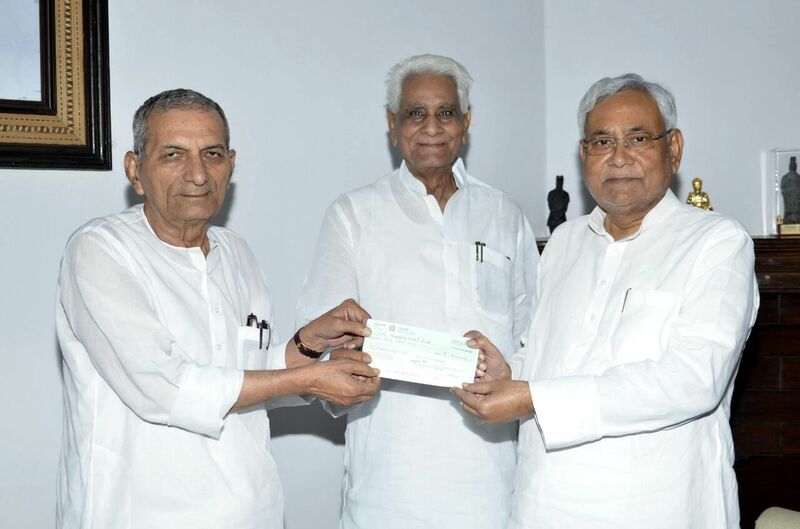 PATNA: Bihar Secondary Teachers’ Association (BSTA) has donated Rs 5 lakh to Chief Minister’s Relief Fund. BSTA president and former MLC Kedar Nath Pandey and its secretary Shatrughan Prasad Singh met the Chief Minister Nitish Kumar at the latter’s office here on Friday and handed over a cheque of Rs 5 lakh to CM on behalf of the association members. In response, Chief Minister thanked the BSTA for its initiative. Meanwhile, BSTA president and secretary urged the members to contribute in the relief fund of the association generously so that the collected amount could be donated to CM Relief Fund as next installment.